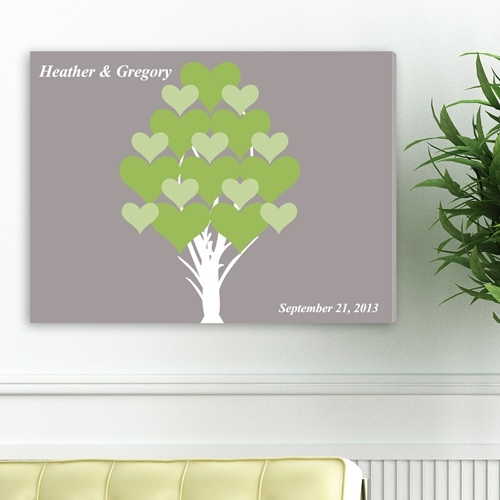 * A pretty gray background frames this lovely Blooming Hearts, a true symbol of everlasting love. * This signature canvas print features names of the couple and date of their special event, perched in the corners, leaving plenty of room for guests to sign and offer their congratulations. * This canvas art is perfect for any room of the house and is suitable as a bridal shower, wedding, or anniversary gift.